Discussion in 'Guitars in General' started by Trotter, Aug 22, 2012. I've heard some people say the late 70's factory paint jobs from Fender were really poor. 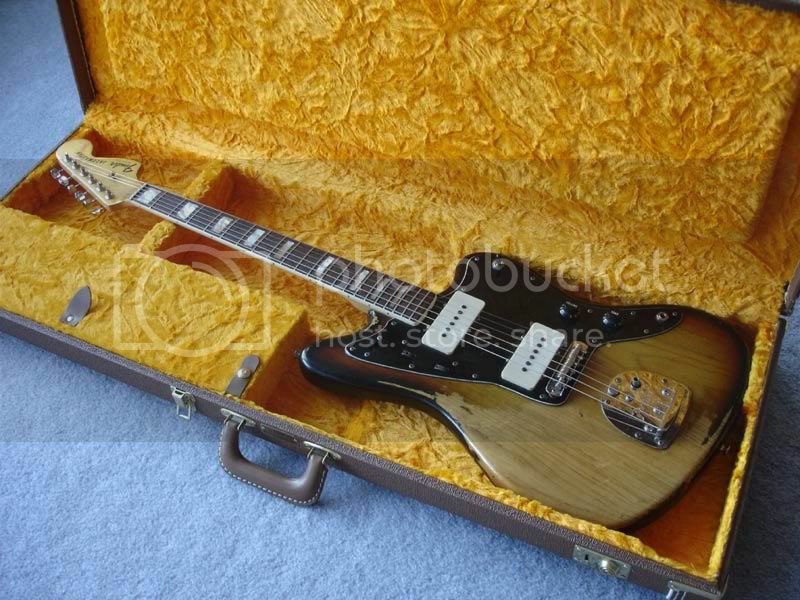 I know these weren't the best years for Fender, but can anyone chime in and provide any insight (specifically to the paint quality in those days)? Here's a few pics of my 79' Strat. Appears to be the original (yet rough) finish. I don't have a good photo of it but I have a '79 Lead II in wine red that has that same discoloration. Strats and Teles in black and wine red have this to some extent, but they never had it as bad the Leads from 1979-1980. I've seen photos of black Leads where that milky/cracked finish covers most of the body. For what its worth I got the Lead II new in late '79 and by mid 1981 the finish was turning and cracking. From what I've read Fender was experimenting with some kind of lower environmental impact finish that just didn't hold up. 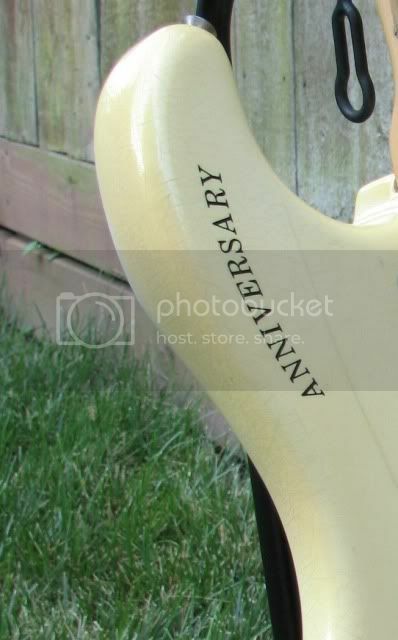 I don't think any other stock colors reacted this way - besides black and wine red the only other color that turned milky and cracked off was that special pearl white they used on the first 500 or so 25th Anniversary Strats. That finish was so bad it was cracking and flaking off by the time they got out to dealers. They pretty quickly changed to the silver finish they used for the rest of them. This is a '79 JM I used to own (built after production of new JMs ended, made it out the door in '79 assembled out of leftover parts, more or less). The finish started chipping away bit by bit at the arm contour and kept spreading. Eventually, the previous owner just clearcoated over the whole thing to keep it from getting worse, but it was pretty far gone at that point. There were many very heavy, thick poly (?) finishes that effectively killed the resonance of the body. I've seen finishes from that era that were close to 1/16" thick...ridiculous. Additionally, many of the bodies were garbage as well. I've seen stripped 70's Strats made of up to 7 pieces of wood glued together. I recall hearing that the original antigua finish was developed to cover up the worst of these bodies...I can't validate the authenticity of that claim though. I've played some nice late 70's Strats but they are the exception and not the rule. This may just be BS, but I remember reading that Fender bought up LOADS of really cheap wood in the mid 70s. We're talking about soaking wet ash...and since the wood didn't get proper treatment/drying either, it ended up weighing a ton. They then slapped on the thick poly finish, and you ended up with a heavy, dull and very bright instrument. 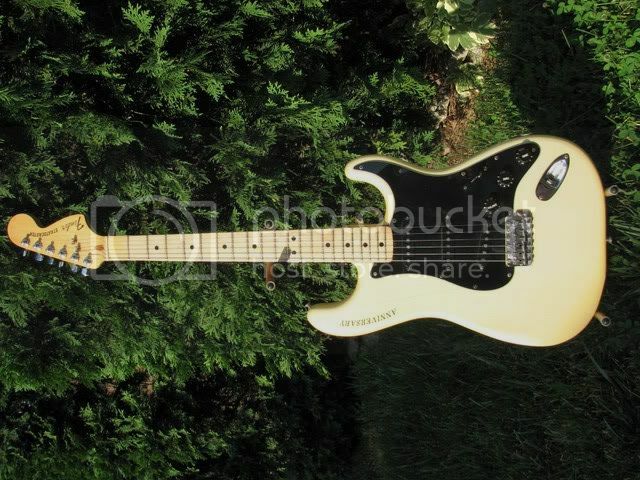 I know my natural finished ash strat from 77 had ice-pick tone. I've seen the same discoloration in some other late 70s strat. The discoloration (blue/grey haze) on the black ones was due to (as mentioned above) changing paint formulas. The thicker finishes don't kill these guitars. I've owned a bunch of late 70s Strats and Teles and while I've had one or two that were just okay, I've had more excellent ones than dogs. I'll buy more-my Capri Orange '81 weighs a ton, but it's a fantastic guitar, as is my '78 Tele Custom. I have a '78 lefty Strat that's okay-not great, but it has Tokai grey bottoms in it and sounds very good. It's heavy. Recently sold a beautif black '77 that was. Dry lightweight. I collect LEADs and the finishes are the bane of some otherwise fine guitars. I'm trying to remember if it was a switch to urethane top coats or a water based undercoat that caused the issues. Most of the Strats and the crimson LEADs seemed to still use the Fullerplast style undercoat. Pretty sure they were dipping them in the sealer and not spraying them at this point. Made for some HEAVY guitars. Ive seen these with at least a 1/16 of sealer on them. Later LEADS and Strats switched back nitro or poly with lighter wood bodies with the correct contours around 1981. I've heard some of the black ones were nitro including factory refins for guitars under warranty . Most of the ones I own I would say are poly. 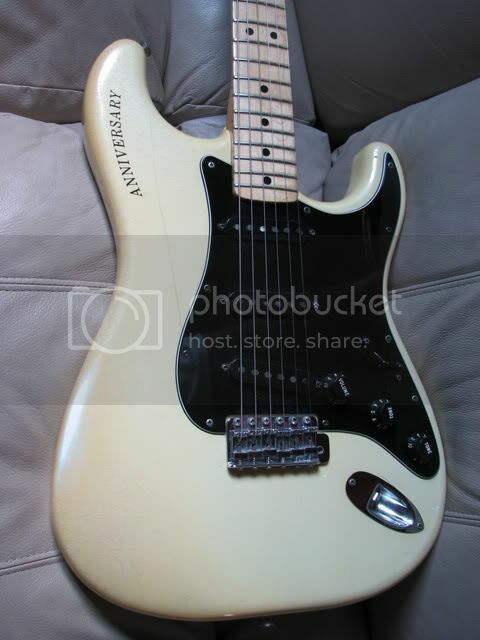 The originall 25 Anniversary Strats used the water based process also. If I recall the original paint was sourced from the Huffy bicycle company and the revised cooler came from Porsche. I want to say that the issue was the color coats on the Anniversary Strats and undercoats on the LEADs and regular production stuff. Pretty much Fenders low point as far as quality goes. I've owned a few Strats and maybe ten leads from this era. Not all were dogs. The later LEADS from 1981 tend to be screamers. Fender did NOT use nitro on anything until the Vintage Telecaster came out in 1981 and then only on the Vintage Reissue series. The thick finishes didn't make these guitars heavy either. Heavy wood did! 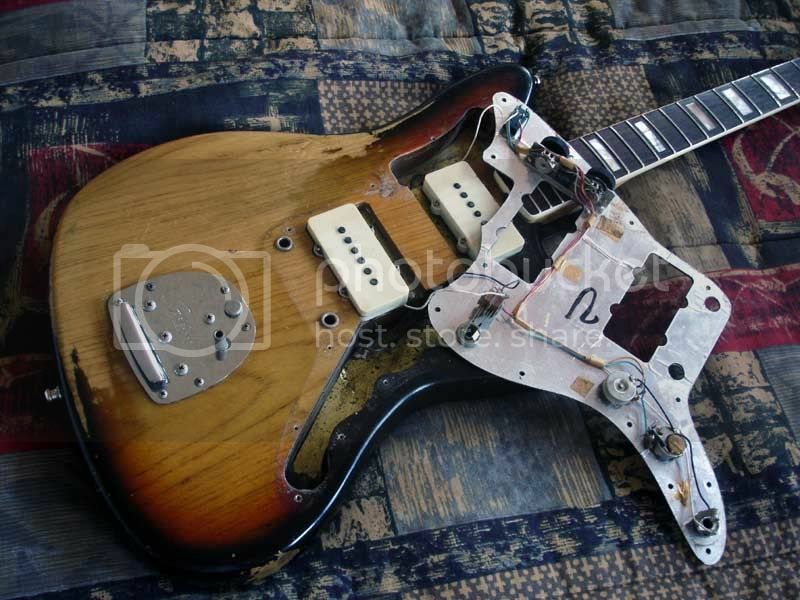 Nowdays that would cost you an extra 500.00 upcharge for" Personal Retime Relic Finish" tm FMIC. My 79 gibson style sunburst has the same chips on the edge, a nicer burst than most 70's LP's.Heavy but plays better than my CS and sounds great. I was talking about models and the discussion is about body finshes. Not disputing the heavy wood, but the finish added significantly to the weight. I've stripped several of them and the difference was quite noticeable. I have a 79'? Lead II and the black paint has mostly cracked and chipped off. Not sure what you consider "significant", but on a ten pound guitar (which would be a normal heavy Fender from this period), IF there were four ounces of finish on the guitar body (dry weight-which is a lot), that's 2.5% of the total weight. I don't think 2.5% of the weight of a guitar is what I'd consider "significant", but maybe you do. Were the finishes thicker? Absolutely-no disputing that, but I've stripped some too and for the life of me, I can't tell on the heavy ones-they're STILL heavy, so I attribute that to the wood. The white finishes looked fine. The Wine Red and Mocha finishes looked fine, except for the fact that the colors might have been the most hideous in Fender history. And yes, the finishes were very thick. 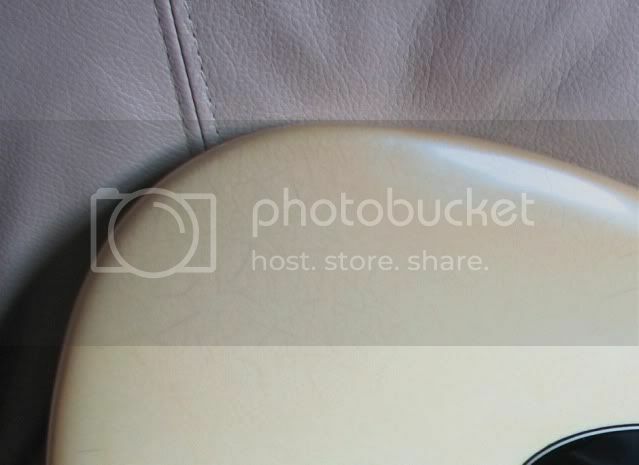 The guitars had a really "fake" and plasticky look to them. The necks looked and felt like plastic--some were good, some were OK and some barely felt like a guitar. I'm speaking of the body only with no neck or hardware, not a complete guitar. Obviously the difference is proportionately less significant in your scenario. I wish I would have weighed them before and after stripping but I didn't...the difference in weight was obvious though. It actually appeared in the late '60s and was first used on the Coronados. It was intended to cover burns on the body caused by whatever process they were using to put binding on the bodies. That way instead of throwing a body out they could hide the damage and use it. Why Fender brought it back it the late '70s I have no idea. My brother bought what must have been an early Lead II around 1986 or '87. It had a cracked black finish, and it looked like someone had tried to paint over the damage. He stripped it off fairly soon after he bought the guitar and sprayed some clear coat from a spray can over top the bare wood. He eventually traded it off on a Japanese Squier Telecaster. So if you run into a natural finish Lead II in Western Canada it just might be his old one. This strat was my ONLY guitar for 18 years. It plays great and serves me well! Interesting to see so many cracked/flaking finishes. I had a '78 Tele that was just the opposite. Its extremely thick finish never totally hardened. You could gouge it with a fingernail if the room temp was warm enough. It lived for some time in its case under the bed of the previous owner. Apparently it got so hot that the finish softened to the point that the fuzz from the case lining stuck to the guitar over most of the back and parts of the front. This left a rough, almost sandpapery feel in those spots. It was too soft to attempt to polish them out. It was my first Tele but I thought it felt and sounded great, even with the finish issue.